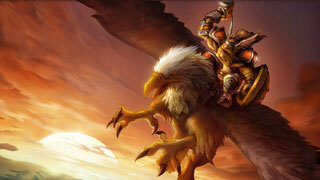 Blizzard says it is still "discussing the possibility" of legacy servers. Classic or "Legacy" servers for World of Warcraft have been a bit of a contentious point, ever since Blizzard shut down the biggest private Legacy server: Nostalrius. Since then, Matt Kern, the ex-Blizzard staffer behind Nostalrius had some talks with the company, which promise to look into the possibility of official Legacy servers. But Blizzard has been pretty quiet on the project for the past few months, and for those of us hoping for a surprise announcement at BlizzCon this year, well, the company has also squashed that hope. "Hey everyone. We've seen some talk among the community that you might be expecting to hear some news on legacy servers at BlizzCon, and we just wanted to take a moment to let you know that while we're still discussing the possibility, we won't have any updates to share on that until after the show," wrote Blizzard community manager J. Allen Brack on the official forums. He continued to say that the past few months have mostly been about prepping World of Warcraft's 7.1 patch, and preparing for BlizzCon itself. He added that this year's BlizzCon World of Warcraft focus will be all about how the team is committed to bringing players a steady stream of content. In short: don't hold your breath for Legacy servers. It looks like Blizzard is considering them, but isn't going to release them any time soon.